You landed here because you’re a good entrepreneur who is doing a bit of research before starting an Etsy shop! Etsy was my gateway platform into the e-commerce world and I learned a few things and experienced some things that I want to share with you before you start an Etsy shop yourself. 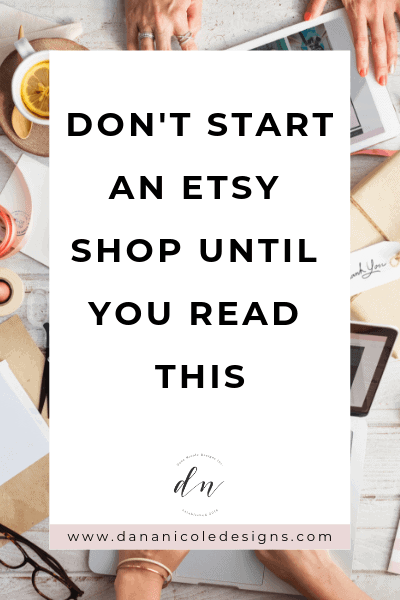 Etsy is a good platform to start on, but I don’t recommend Etsy being your only e-commerce platform and I’m going to give you the nitty-gritty details why. I’m also going to give you other places to sell your products so you can maximize your potential profits! First, let’s talk about some of the pros of starting an Etsy shop. While there are reasons you don’t want to rely on Etsy 100%, I do think it’s a great place for newcomers who don’t have a large audience of their own to market to. Here are some reasons why I think starting an Etsy shop is a great idea. When you start an Etsy shop, you don’t need to worry about domains, hosting or hiring a web designer. Everything is already done for you. 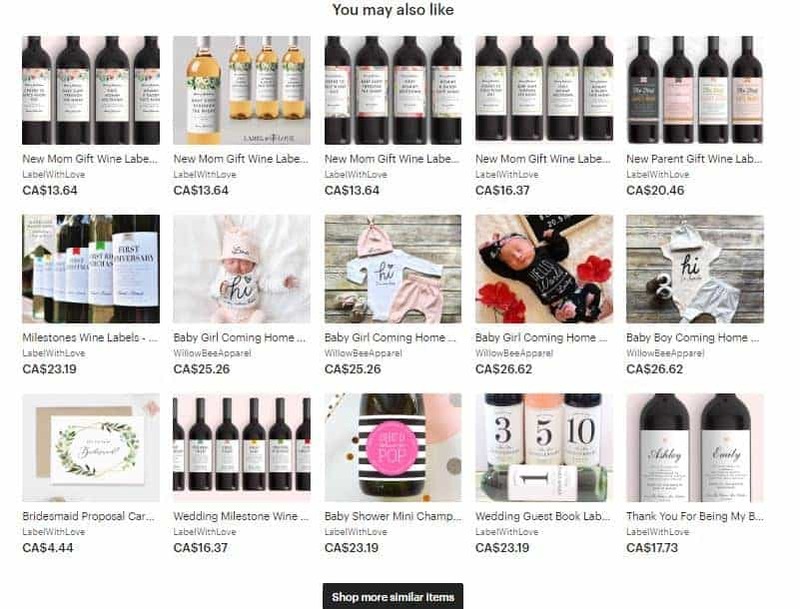 This is a screenshot of my Etsy shop, and as you can see, the only items you might need to have custom designed would be a header image and a logo. You could easily design a header image yourself on Canva, making your Etsy shop free to set up! I also like the design of Etsy shops. I think they are user-friendly and clean. Etsy has obviously done their research into making sure the layout of their shops are as high-converting as possible. You can also upgrade your Etsy account to have more features, such as a scrollable banner at the top of your page to showcase different promotions just as EasyPrintablesShop has. 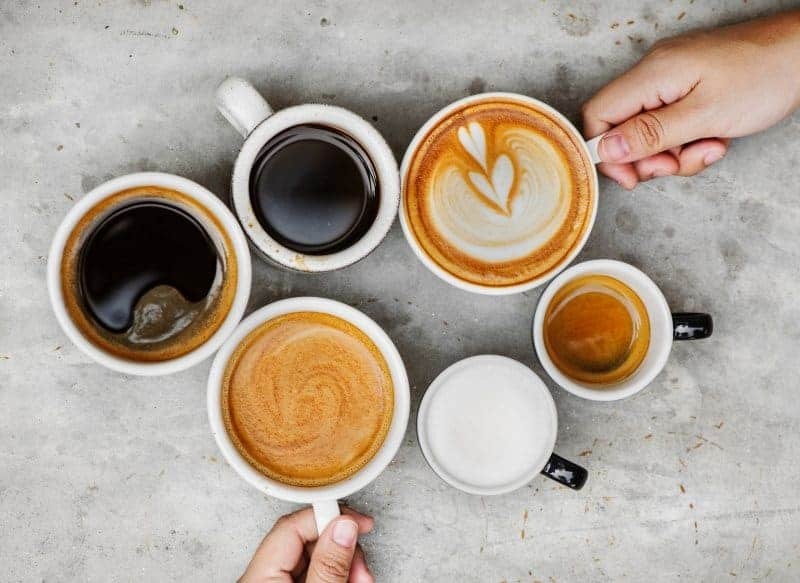 While there are options to customize, it’s nothing like the customization you get by starting your own shop on your own website, but having a shop ready to go in as little as an hour is very appealing, regardless of the customization limitations. Etsy is a search engine and the people who go to Etsy are looking to buy. If you are just starting up and don’t have your own audience yet, starting an Etsy shop is a great way to get your products in front of a larger audience to increase your chances of making sales. When I first started my Etsy shop, I hadn’t built up a large audience on my own, so being able to leverage the shoppers on Etsy helped me make a few sales. If you don’t plan to manufacture your own products and instead plan to use dropshipping, Etsy can integrate to many dropshipping platforms meaning you can sell apparel and different items without having to worry about actually stocking them. Dropshipping is a great method to build a profitable business with no inventory, and Etsy makes it very easy to integrate. Before you choose a dropshipping platform, just make sure they are compatible with Etsy. Lastly, Etsy is established and is known for being a marketplace full of unique items. Your future potential customers are likely on Etsy looking for the items you sell right now. That doesn’t mean you won’t need to learn how to market your goods, however. Just like any other online business, starting an Etsy shop will still require you to learn about online marketing. While the pros I just listed with starting an Etsy shop might make Etsy seem like a dream for beginners, you should also be aware of some of the cons. There are a few reasons why I moved my shop off Etsy and onto my own domain, and while I still use Etsy, I don’t rely on it and don’t put any of my time towards it anymore. If a customer walked into your store and picked up a beautiful necklace you spent weeks creating, would you run over to them and say, “if you think that’s nice, you might also like this necklace that you can get from my competition just down the road!” as you show them a photo of your competitor’s products? But that’s what Etsy does, and that’s what will essentially happen to you if you start an Esty shop. At the bottom of your Etsy shop, Etsy shows products they think the user will also like. This means that your competitors may (and likely will) be shown to your potential customers on your own shop page. Etsy makes money when an item sells, so they want to make sure that when a potential customer is browsing, they have lots of choices to increase the likelihood they will buy. Etsy doesn’t care what store sells what items, they just want to make sure something sells. And that means promoting your competitor’s products on your own shop’s page. When started an Etsy shop, the last thing on my mind was going to court to fight over some silly little Lightroom presets I was selling…but that’s almost what happened. At any point in time, Etsy can shut down your shop and you might not have any control over it. It happened to me because a jealous competitor accused me of frivolous copyright, and by law, when you are accused of copyright infringement, Etsy has to take down every single listing in order to avoid getting sued themselves. And their legal department was no help, unfortunately. My options were to wait around and see if my competitor decided to back down or to get an attorney and go to court. Oh, and if I put my listings back up without doing either of the above options, I risked getting banned off Etsy for the rest of my life. Not only that, once my listings were back up and running, Etsy told me that it would take time before they were in the search results in their normal place. I had worked incredibly hard on my SEO for my listings to appear higher in the search results, and because a competitor decided to take me down unlawfully, I had to pay the price by losing out on income while my listings were shut off and then had to work my way back up the search results again. And what if this happens again in a few months? What’s stopping my competitor from doing the same thing? Could this have happened on my own website? Absolutely, but it’s highly unlikely, and had it happened, I wouldn’t have taken down a single listing because I know (and can prove) that none of my products are infringing on any copyright. Not only that, my rankings in search wouldn’t have been affected. And I wasn’t the only shop owner this happened to. I reached out to many of my other competitors when I noticed their listings seemed gone, and they confirmed they were all hit with the same frivolous copyright infringement from the same sour competitor. While it was a bad situation, it was the kick-in-the-pants that I needed to move my products over to my own website and stop relying on Etsy! You might think this is a one-off situation, but this is actually a huge problem on Etsy. After this happened to me, I found some Facebook groups to join about frivolous trademarks and copyright infringements and guess what I found? There are people who try and trademark common phrases and once they have the trademark, they head over to e-commerce hotbeds like Etsy to begin issuing takedown notices and shut their shops down. Etsy is the easiest place to try and shut these shops down because you can easily find thousands of your competitor’s shops all in one place. I sell my products at a lower price point, so Etsy’s fees really hurt my bottom line. 15% of my revenue goes towards paying Etsy’s fees. Depending on the price point of your products and what you are selling, your fees may vary. Here is a breakdown of Etsy’s fees so you can have an idea of what yours will be. As my items are priced low, the fees I have to pay account for more, so let’s say you have higher priced items and you are paying Etsy only 5%. If you sell $1,000 per month on Etsy, you will be paying (at minimum) $600 in Etsy fees annually. You could put that $600 towards building your own e-commerce website, and while it won’t cover the whole cost of it, it will cover a little bit to hire a designer and own your own store. In the pros I mentioned that you have access to a large audience, but I didn’t say that their audience is also your audience. Is your target audience even hanging out on Etsy? Before you spend time starting an Etsy store, you should do some research to see if your audience even uses Etsy. If you are just starting out in e-commerce, the last thing you are thinking about is probably growing an email list. But it should be the first thing you think about. Your email list is essentially a group of people who you have direct access to, who are also fans of your brand and your products. These are people who are either past customers or potential current customers but one thing is for sure: they are people who have the potential to one day make a purchase from you. Email marketing is a highly effective and targeted way to promote your products to your audience. Email marketing has the highest conversion rate when it comes to making a purchase as a result of seeing a marketing message at 66%. 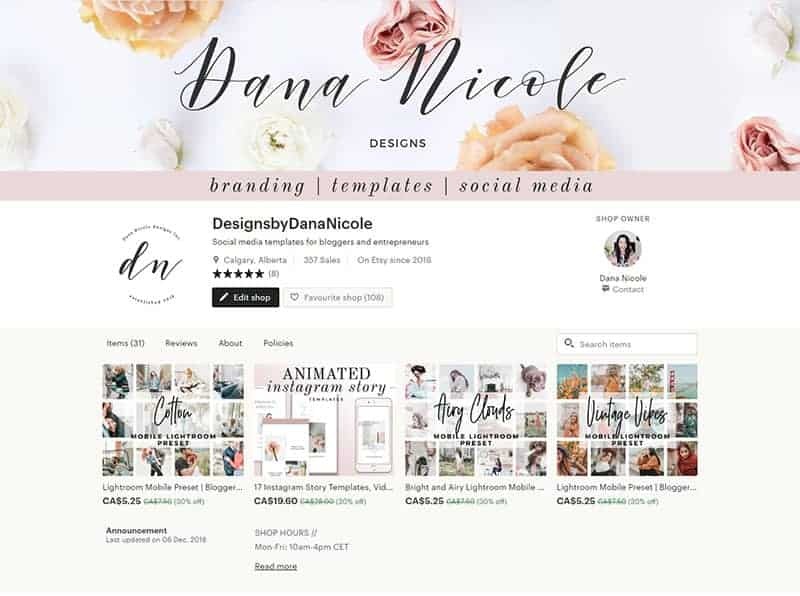 In fact, once I moved my shop from Etsy over to my own website, my income grew by 2,000% because I was able to do better-targeted ads, use my email list, my products were no longer shown alongside my competition and my website traffic was converting to sales. Etsy is a great secondary source of income, but if you want to be appear more professional, setting up your own e-commerce site is a lot better. Still Thinking of Starting an Etsy Shop? Here’s my honest opinion: starting an Etsy shop is great for those who are looking to dip their toes into e-commerce! Had I not started my own Etsy shop, I wouldn’t be where I am today with my products. Etsy is also a great way to diversify your streams of revenue but I wouldn’t rely on Etsy 100%. And of course, creating your own e-commerce site is the best option because you’ll be able to drive your own traffic, you won’t need to worry about your competitor’s products showing up right beside yours and you have the option to build an email list! Hey there! When you share my content over social media it helps me be able to create more free stuff to help you out! If you made it this far down, I’d love a social share!